How does a solitude-loving introvert launch a new product? And what if that product is in a new-to-her category that requires vulnerability and high creativity? That's the place Betsy Talbot found herself when she accepted the challenge to write her first romance novel. She committed to not only writing the first novel, but quickly found that she had a series on her hands! I met Betsy about five years ago, just before she left Seattle with her husband to embark on a world traveling adventure. Even though our introduction was brief, I was instantly inspired by her energy and go-for-it attitude. So it’s with great pleasure that I welcome her to the podcast for a conversation about the latest twist in her entrepreneurial journey. 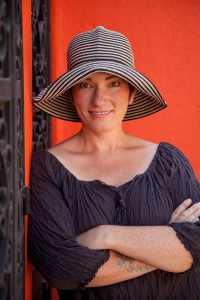 Betsy Talbot is a 40-something traveler and author. When she’s not traveling or penning books about love, adventure, and self-discovery, she is hiking, learning flamenco dancing, and drinking wine in a tiny whitewashed village in Spain. Betsy is the coauthor of four books with her husband Warren Talbot, and they also co-hosts of the popular weekly podcast, Married with Luggage. (side note: I interviewed Betsy and Warren together in 2014 – look for episode 66 on my website). 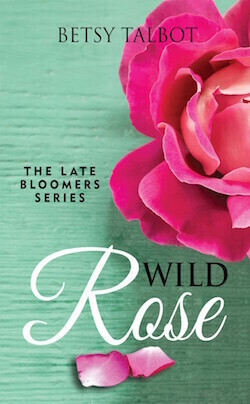 Her latest project is The Late Bloomers Series, a 5-book romance series about women in their 40s. Because women with experience make the best characters…in life and on the page.